There are many houseplants that will thrive in a south-facing window. According to the University of Georgia Extension, windows with southern exposure produce the largest variation of light and temperature conditions. During the winter, your plants will still receive a fair amount of light, and you'll be able to enjoy a touch of green all year round. Bromeliads (Bromeliad spp.) are exotic tropical plants with spiky foliage. Their flower stalks arise from the center of the plant in a bright show of color. Bromeliads prefer bright light and a loose, coarse soil. Their roots should never sit in water, and there should be 1 to 2 inches of pebbles at the bottom of the plant's container. The best way to water bromeliads is to pour warm water into the center of the plants' stalks. The agave (Agavaceae spp.) is a succulent native to the Americas. Its thick pointed, waxy leaves grow slowly and require bright light. When the plant is mature, it will produce a flower spike and die. But it will leave offshoots that can be left in the container or repotted individually. 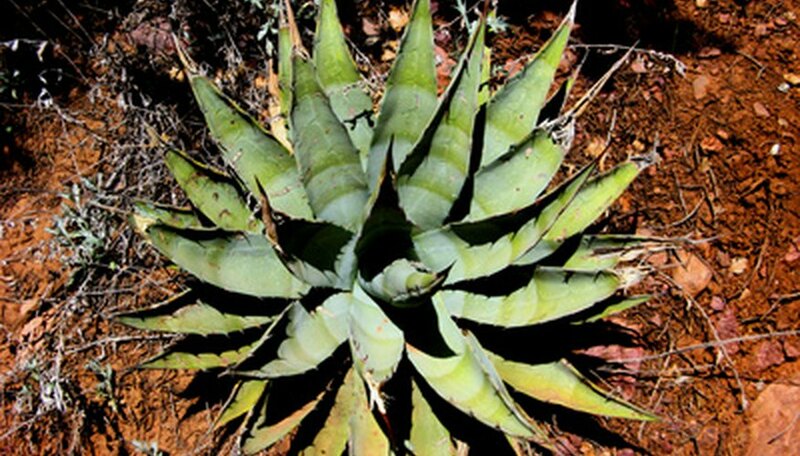 Agaves need watering only when the top 2 inches of soil are dry, and do not use warm or hot water. Too much watering or excessive humidity can lead to crown rot. It's almost impossible to kill a snake plant (Sansevieria spp). These slow-growing plants, also called mother-in-law's tongue, have stiff, sword-like foliage in dark green or gray green with a yellow outline. The snake plant is easily propagated by cutting its leaves into horizontal sections and placing in another container filled with houseplant potting soil. Snake plant prefers full sun to bright light, and it is drought tolerant. Too much water will cause root rot. The fishtail palm (Caryota spp.) grows in a clump of suckers with leaf blades that resemble "the tail of a fancy goldfish," according to the University of Florida Extension. This palm grows up to 25 feet tall (though it will be smaller when grown indoors) and is well-suited to container life. It likes bright light and well-drained, fertile soil. After a stem flowers, remove it to keep the plant looking neat. The white flowers are inconspicuous and appear in the summer.